Taken from: http://www.fourwinds10.com/siterun_data/bellringers_corner/vital_articles/news.php?q=ebc9a574116d75241a1528ea0cea7bb0. Published in this website on November 4, 2007. I’ve spoken of the greatest cover-up of all time being the suppression of the fact that extraterrestrials have been visiting Earth from other planets [Foot-note one]. If that is the biggest cover-up of all time, then the second biggest cover-up of all time is the attempt to keep secret the fact that there is a civilization of people living in the centre of the Earth. The civilization is known as ‘Agartha’. This might be hard to believe, I know it was difficult for me at first. However, I now have absolute knowingness of the truth of it. [Foot-note one] Refer to the link entitled ‘Extraterrestrials and Other Government Cover-ups’ [John Grau]. To begin with, Buddhist theology affirms its existence. It is believed to be a race of supermen and superwomen who occasionally come to the surface to oversee the development of the human race. It is also believed that this subterranean world has millions of inhabitants and many cities, its capital being Shamballa. The King of this world is believed to have given orders to the Dalai Lama of Tibet, who is his terrestrial representative. His messages are transmitted through certain secret tunnels connecting the inner world of Agartha with Tibet. The famous Russian channel Nicholas Roerich, who was a channel for Ascended Master El Morya, claimed that Lhasa, the capital of Tibet, was connected by a tunnel with Shamballa in the inner Earth. The entrance of this tunnel was guarded by Lamas who were sworn to secrecy. A similar tunnel was believed to connect the secret chambers at the base of the Great Pyramid at Guiza with Agartha. The first public scientific evidence of Agartha’s existence occurred in 1947 when Rear Admiral Richard E. Byrd of the United States Navy flew to the North Pole and instead of going over the pole he actually entered the inner Earth. In his diary, he tells of entering the hollow interior of the Earth, along with others, and traveling seventeen hundred miles over mountains, lakes, rivers, green vegetation, and animal life. He tells of seeing monstrous animals resembling the mammoths of antiquity moving through the brush. He eventually found cities and a thriving civilization. His plane was finally greeted by flying machines of a type he had never seen before. They escorted him to a safe landing place and he was graciously greeted by emissaries from Agartha. After resting, he and his crew were taken to meet the King and Queen of Agartha. They told him that he had been allowed to enter Agartha because of his high moral and ethical character. They went on to say that ever since the United States had dropped atomic bombs on Hiroshima and Nagasaki, they had been very concerned about their own safety and survival. They had decided that it was time to make greater contact with the outside world to make sure humanity didn’t destroy that planet and their civilization with it. Byrd had been allowed in so they could make contact with someone that they trusted. To make a long story short, when their visit was finished, Admiral Byrd and his crew were guided in their plane back to the outer world, their lives having been changed forever. In January 1956, Admiral Byrd led an expedition to the South Pole. On that expedition he and his crew penetrated two thousand three hundred miles into the centre of the Earth. Admiral Byrd states that the North and South Poles are only two of the many openings into the center of the Earth [Foot-note two]. Admiral Byrd also states that the inner Earth has its own sun. Byrd’s theory is that the poles of the Earth are concave, rather than convex, and ships and planes can actually sail or fly right in. [Foot-note two] I can’t help thinking about Jules Verne’s famous science ‘fiction’ book, ‘Journey to the Center of The Earth’ [Joshua Stone, 1995]. The American press announced Admiral Byrd’s discovery, but it was immediately suppressed by our good friends, theSecret Government. Ray Palmer, the editor of the magazine ‘Flying Saucer’, published a detailed  story about Admiral Byrd’s discoveries. The United States government bought, stole, or destroyed almost every copy and then destroyed the plates at the printing office [Foot-note three]. I have been told exactly the same thing happened to an article about Admiral Byrd’s discovery published by ‘National Geographic’. The magazine was released, and the U.S. government gobbled up almost every issue. If the story was not true, why would the government be so nervous? [Foot-note three] The psychological symbolism would have been that those that destroyed all these magazines had a significant mentor that destroyed their spirit in their tentative years [John]. It is interesting to note that the United States government does not allow planes to fly over the poles. All flights are directed to go around the poles, and any airline pilot flying in those areas will confirm this. Another interesting point is that icebergs are composed of fresh water, not salt water. It is also curious that it is warmer nearer the poles than it is six hundred to one thousand miles away from them. The opening at the poles might also explain why there are so many UFO sightings in those areas. “I lived near the Artic Circle in Norway. One summer my friend and I made up their minds to take a boat trip together and go as far as we could into the north of the country. So we put a month’s worth of provisions into a small fishing boat and set to sea. “At the end of one month we had traveled far into the North, beyond the pole and into a strange new country. We were much astonished at the weather there. It was warm, and at times at night it was almost too warm to sleep. Then we saw something so strange that we were both astonished. Ahead of us on the warm open sea was what looked like a great mountain. Into that mountain at a certain point the ocean seemed to be emptying. Mystified, we continued in that direction and found ourselves sailing into a vast canyon leading into the interior of the Earth. We kept sailing, and then we saw what surprised us… a sun shining inside the Earth. “The ocean that had carried us into the hollow interior of the Earth gradually became a river. This river led, as we came to realize later, all through the inner world, from one end to the other. It can take you, if you follow it long enough, from the North Pole through to the South Pole. 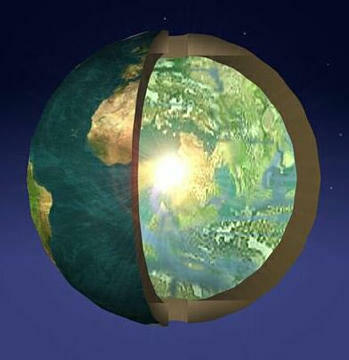 “We saw that the inner surface of the Earth was divided, as the outer one is, into both land and water. There is plenty of sunshine and both animal and vegetable life abound there. We sailed further and farther into this fantastic country —fantastic because everything was huge in size as compared with things on the outside. Plants were big, and trees gigantic. Finally we came to meet giants themselves. “They were dwelling in homes and towns, just as we do on the Earth’s  surface and they used a type of electrical conveyance like a monorail car to transport people. It ran along the river’s edge from town to town. Several of the inner Earth’s inhabitants, huge giants, detected our boat on the river and were quite amazed. They were, however, quite friendly. We were invited to dine with them in their homes, and so my companion and I separated, he going with one giant to that giant’s home and I going with another to his home. “My gigantic friend brought me home to his family and I was completely dismayed to see the huge size of all the objects in his home. The dinner table was colossal. A plate was put before me and filled with a portion of food so big it would have fed me abundantly for an entire week. The giant offered me a cluster of grapes and each grape was as big as one of our peaches. I tasted one and found it far sweeter than any I had ever tasted outside. In the interior of the Earth all the fruits and vegetables tasted far better and more flavorsome than those we have on the outside of the Earth. “We stayed with the giants for one year, enjoying their companionship as much as they enjoyed knowing us. We observed many strange and unusual things during our visit with these remarkable people, and were continually amazed at their scientific progress and inventions. All of this time they were never unfriendly to us, and we were allowed to return to our home in the same manner in which we came… In fact, they courteously offered their protection if we should need it on the return voyage”. An additional account of a visit to the hollow Earth was told by another Norwegian, Olaf Jansen, and was recorded in “The Smokey God”, written by Willis George Emerson and published in 1908 [Foot-note four]. The book relates the experiences of a Norse father and son who, in their small fishing boat, attempted to find ‘the land beyond the North Wind’, which they had heard about. A windstorm apparently carried them through the polar opening and into the hollow interior of the Earth. They spent two years there and upon returning through the Southern Polar opening, the father lost his life when an iceberg broke in two and destroyed the boat. The son was rescued, but when he told his incredible story, he was placed in a prison for the insane because no one would believe him. After being released and spending twenty-six years as a fisherman, he moved to the United States. In his nineties he befriended Willis George Emerson and told him his story. On his deathbed he also gave Emerson maps that he had made of the interior of the Earth along with a manuscript relating his experiences. [Foot-note four] The term ‘Smokey God’ refers to the central sun in the hollow interior of the Earth, which is smaller and less brilliant than the outer sun and so appears ‘smoky’ [Joshua Stone, 1995]. He said that the people live for four hundred to eight hundred years and are twelve feet tall or more. Their scientific technology is very advanced. They can transmit their thoughts to each-other using certain  kinds of radiation and they have sources of power greater than electricity. They make ‘flying saucers’ that are operated by their superior power, which is drawn fromelectromagnetism in the atmosphere. 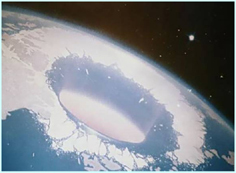 It is notable that in 1942, Nazi Germany sent out an expedition composed of some of its leading scientists in an attempt to find an entrance to the hollow Earth. Göring, Himmler, and Hitler enthusiastically endorsed the project. The führer was convinced that the Earth is concave and that humanity lives on the inside of the globe. In ‘The Hollow Earth’, Bernard tells of a photograph published in 1960 in the ‘Globe and Mail’ in Toronto, Canada, which shows a beautiful valley with lush green hills. An aviator claimed that the picture had been taken from his airplane as he flew ‘beyond the North Pole’. Earlyne Chaney [Foot-note five] gives a fascinating account of how Agartha came into being in her book ‘Revelations of Things to Come’. She had a hard time accepting the truth of Agartha’s existence but her guides were absolutely adamant about it, and its importance to human civilization both now and in the future. [Foot-note five] Channel for Kuthumi, the Virgin Mary, and Zoser, an Egyptian Pharaoh [Joshua Stone, 1995]. Earlyne’s channelings state that ages ago very advanced souls came to Earth from other planets. She calls them Anunnaki; their offspring on Earth are the Annu. It was these beings who brought the ‘arks of the covenant’ that were used as laser guns and gravity control devices for the uplifting of the Earth’s civilization. The Anunnaki and the Annu helped to build the great civilizations of Atlantis and Lemuria. Eventually, the Anunnaki departed, leaving the Earth in the hands of the Annu who had mated with Earthlings. As time went on, Atlantis began to be taken over by the Sons of Belial [Foot-note six], or the Dark Brotherhood. The Annu, realizing the destruction of Atlantis was approaching, fled to other lands, especially Egypt. They helped to build the pyramids with their arks of the covenant. However, they also used these instruments to bore deep underground, building underground tunnels and cities. When the deluge and pole shift were about to demolish Atlantis and Lemuria, the Annu entered their inner-Earth cities through the Great Pyramid. They then sealed the pyramid, preventing Earthlings from discovering their underground passages and keeping out the waters of the flood. [Foot-note six] The ‘Lords of Materialism’ and the followers of the fallen Angel Beelzebub [John]. Agartha consists of vast continents, oceans, mountains, and rivers. Shamballa is its central city. The population there is highly evolved. 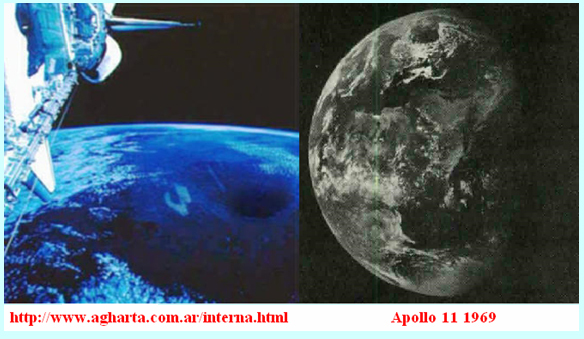 Earlyne says that the civilizations of the Yucatan, Peru, Brazil, Cambodia and Tibet also went underground and that many UFOs come from the inner Earth. She conforms that the Earth has an inner sun; the aurora borealis is  a reflection of it. She also confirms that there are openings at both Poles, as Admiral Byrd said. It is interesting to note that the Egyptian government has found many of these tunnels and has tried to explore them over the past thirty years but they are so complex and extensive that they have recently been sealed for fear tourists would venture into them and get lost forever [Foot-note seven]. [Foot-note seven] Or perhaps the ‘Secret Government’ has made it harder for anyone that might have left the ‘top-side’ of the Earth, and fled to the Agartha lands in the run-up to the 2012 planetary changes [John]. In another fascinating book by Chaney called “Beyond Tomorrow”, Robert Stacy-Judd, a noted archeologist from California, tells of being in the Yucatan and entering the stupendous ‘Cave of Loltun’ with a party of six researchers. They descended far into the depths of the Earth and then realized that they were lost. They became very concerned when all of a sudden from farther down in the depths, a light came towards them. The light turned out to be a torch carried by an old blind hermit who told them he had seen them clairvoyantly and knew they were lost. Even though blind, he proceeded to lead them back to the Earth’s surface. The men were exceedingly grateful and asked the hermit where he lived. The hermit told them that the cave was his home and that he came to the surface every few months. When asked how he survived, how he found food and water to drink, he said he was cared for by the friends who lived in the beautiful inner city in the depths of the Earth. He paused long enough to have his picture taken, then disappeared back into the cave. I attended a lecture given by a woman named Sharula [Dux] and her husband, Shield, who stated that she was something like three hundred and fifty years old and that they came from the underground city of Telos, which apparently is a couple of miles beneath Mt. Shasta. I listened very intently to their teachings and have to admit they were both very sharp and knew their stuff, in a spiritual sense. I agreed with everything they said. However, I have to admit I did question her statement about being over three hundred and fifty years old. The next day, when I was receiving a healing treatment from a friend who is exceedingly clairvoyant, I told her about the lecture. She said that she could tell from a picture if what Sharula had said were true. I happened to have the advertisement for the lecture in my car, and it contained a picture of both Shield and Sharula. Upon looking at Sharula’s aura in the picture, my friend said that it was totally different from a normal human aura and that she felt that there was a good possibility that Sharula had been telling the truth about her age and home. My own intuition and inner guidance had felt it to be true; it was interesting to get this confirmation. There are apparently underground tunnels and cities at various levels  of the Earth’s crust throughout the planet. Many of the beings who live there are apparently coming to the surface now, just as extraterrestrials are coming to Earth in great abundance. Whenever I research a subject I like to get Djwhal Khul’s feedback on the information [Foot-note eight] I have come up with. I told him what I had learned, and he had a number of interesting things to add. [Foot-note eight] Throughout his life Joshua Stone employed the method of Soul Traveling to commune with the Ascended Master Djwhal Khul [John]. First of all, he confirmed that Admiral Byrd had indeed traveled to the inner Earth as he had claimed. He said that the aurora borealis is not caused by the sun of the inner Earth but by a different light source. He said that the openings at the poles are very wide, so ships and planes can fly into them, but that they are naturally protected by an energy field. People can find them if they really search, even though they are camouflaged by the energy field. He confirmed that there are entrances to the inner Earth in Egypt, Tibet, and the Yucatan, and added that there are other entrances in the Bermuda Triangle, the former Soviet Union, and Africa. He said that there are different races in the inner Earth, just as on the surface, and that some of them are quite tall. He also confirmed that the United States government and those of other countries are aware of the Inner Earth and are hiding the information about it [Foot-note nine] just as they are hiding their connections with extraterrestrials. He also confirmed Earlyne’s story of the Annu and their escape into the tunnels just prior to the flood. However, he added that beings had been living there long before the Atlanteans came. [Foot-note nine] The psychology here would be that a significant mentor of these ‘hiders’ also ‘hid’ things from them whilst they were growing up [John]. Among the Native American peoples, the Navajo legends teach that the forerunners of man came from beneath the Earth. The ancient ones had supernatural powers but were driven from their caverns by a great flood. Once on the surface, they passed on their great knowledge to the human race before once again seeking their great sanctuary. The Pueblo Indians’ mythology also places their gods’ place of origin in the Inner Earth. The inner world was supposedly connected to the surface people by a hole in the North. The ancient writings of the Chinese, Egyptians, and Eskimos speak of a great opening in the North and of a race of people who live under the Earth’s crust. The writings say that their ancestors came from the paradise land in the Earth’s interior. In the Buddhist tradition, ancient philosophy states that Agartha was first colonized many thousands of years ago when a holy man led a tribe that disappeared under the ground. The present population of that underground kingdom is believed to number many millions and the people are  believed to possess a science, far superior to any found on the surface of the Earth, that includes cars that run at tremendous speeds through underground tunnels. In the ancient legends of Quetzalcoatl, the great avatar of the Aztecs and Toltecs, it is told that he vanished on a flying saucer for eight days and visited the subterranean world. Russian explorer Ferdinand Ossendowski, author of ‘Beasts, Men and Gods’, relates his own experiences in Mongolia. 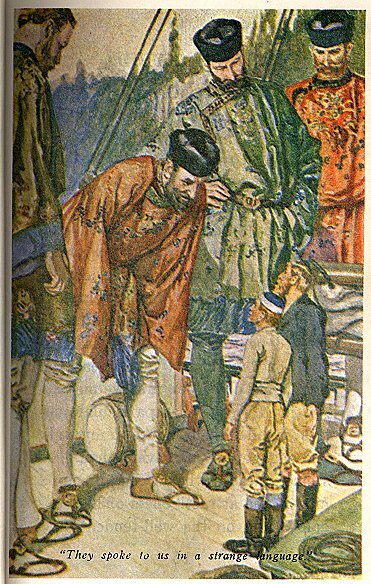 In his travels he came across Mongolian legends of the subterranean world of Agartha, ruled by the King of the world who resides in the holy city of Shamballa. The legend says that in ancient times, a Mongolian tribe seeking to escape Genghis Khan hid in a subterranean land. They were shown a door that turned out to be the entrance to the kingdom of Agartha. According to Ossendowski, who was considered a great authority on the subterranean worlds, Agartha extends through subterranean tunnels to all parts of the world. These tunnels run under both major oceans and under all continents of the Earth and there are swift vehicles that move through them. He believes that the inhabitants of both Atlantis and Lemuria found refuge there. There are over one hundred subterranean colonies underneath the Earth, all but one of them quite close to the surface. These underground cities have been referred to as the ‘Agartha Network’. Their customs vary, but they follow a common, spiritually-oriented structure of living —the Melchizedek teachings [Foot-note ten]. The average population of these cities is five hundred thousand, but Telos, beneath Mt. Shasta, has over 1.5 million inhabitants. A second colony of approximately the same size is located beneath the Matto Grosso Plains of Brazil. This Atlantean outpost is called Posid. Although Atlantis and Lemuria have become myth to most people on the surface of the Earth, in reality they are just continuing their evolution underground. [Foot-note ten] The Melchizedeks are an ancient priesthood that disseminates the teachings of the ‘Great White Brotherhood’ throughout the universe [Joshua Stone, 2006]. I know this is true. My grandparents told me about the Hollow Earth world when I was 6 years old and I’m 55 now.